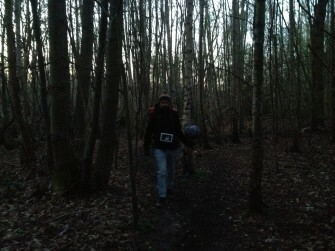 Dawn Chorus in Hockley Woods. 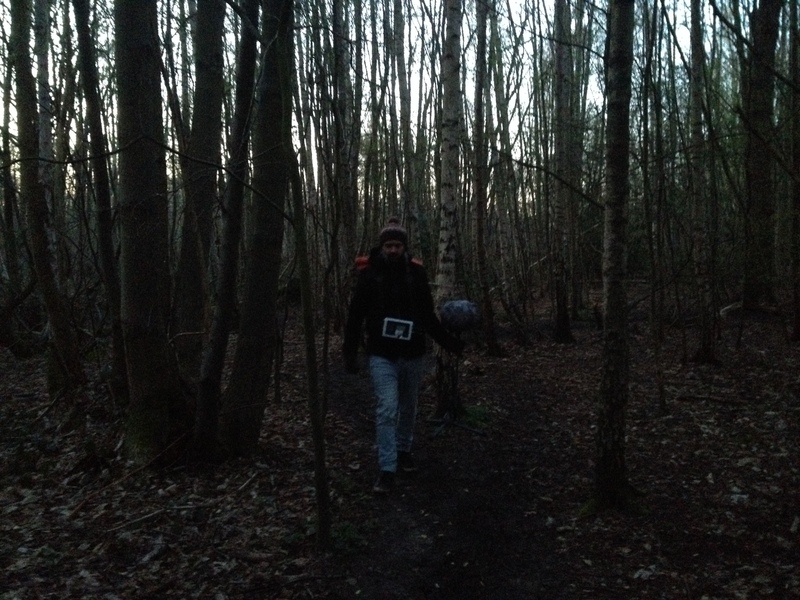 Early morning in the thick of Hockley Woods. The first of two recordings (the second is here). Artist Josh Langan responded to our social media call asking for local knowledge about good places to record the dawn chorus. He suggested that we record in Hockley Woods, as he had spent some time there a few years ago on one of his projects and said that the dawn chorus was really rich and loud. So I picked him up at 4:30 on a Sunday morning and we drove over to Hockley armed with some microphones. We stopped at our first location because we had heard some owls in the distance, but by the time we had set up the kit, all we managed to record was crows, of which there seems to be hundreds. So we ventured further west into a denser part of the wood which had a wider variety of birds. After a few minutes we heard some trampling sounds in the middle distance, which were followed by one solitary bark, which sounded a bit like a dog. We looked at each other with an expression that said ‘What the **** was that? The Black Shuck?’ There was another bark, and another. We were ready to run but slowly the sounds reduced in volume as the animal moved away. After a few more minutes, in order to get a decent length of recording, we packed up and moved back towards the middle of the woods, feeling lucky to be alive. After some research, later in the day Josh sent me a description of the bark which identified it as a muntjac deer.